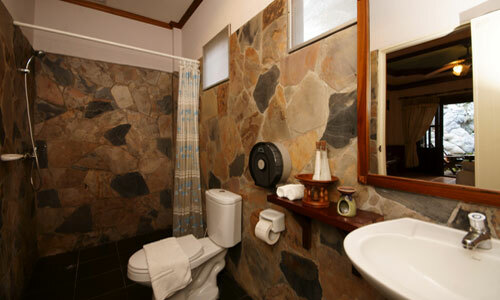 The accommodation at Salad Beach Resort is built and finished to very high standards with a total of Fifty rooms, all with air conditioning and view over the sea and the garden. 16 Dec. - 27 Dec. 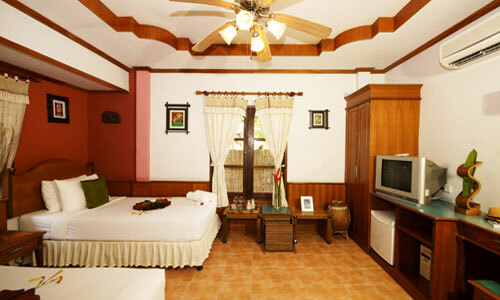 The Superior Beachfront bungalow is the most popular room type. 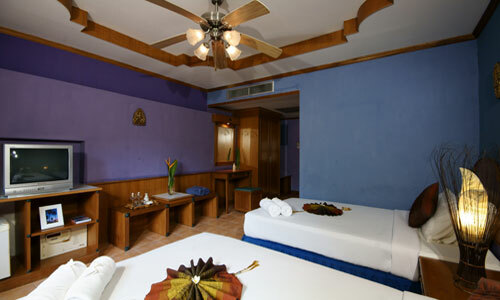 The room with private and comfortable balcony faces to the white sand beach, ocean wind breezes keep the bungalow comfortable all year long. 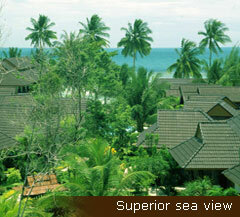 These would provide you a good chance to get in touch with natural and gorgeous sea view. 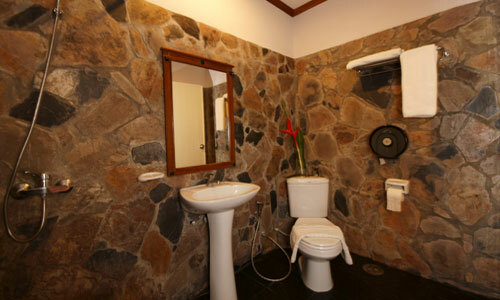 The room containing with air condition, hot/cold shower, safety box, refrigerator and room standard facilities. Just a short stroll to the north of the beach will lead you to one of the best snorkeling areas Phangan island, along a living coral reef. 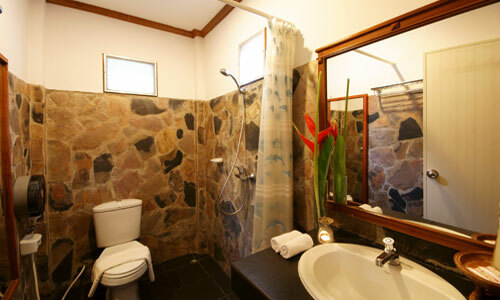 Superior Pool View bungalow with private and comfortable balcony is located around the swimming pool. It would take you just a few steps to reach to the beach, restaurant and spa. 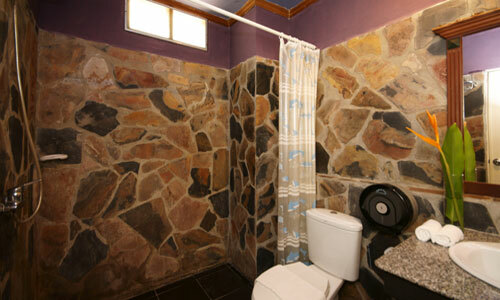 This type of room is more likely to be suitable for family with the kids. There is a separate swimming which provided for the kids. 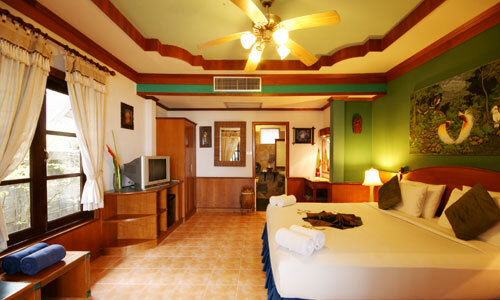 The room containing with air condition, hot/cold shower, safety box, refrigerator and room standard facilities. 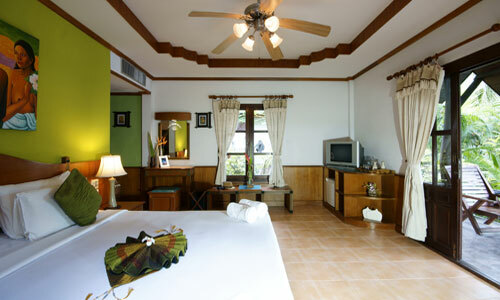 The Superior Garden View Bungalow with private and comfortable balcony is surrounded by a gorgeous, this would makes guest feel more close to nature. 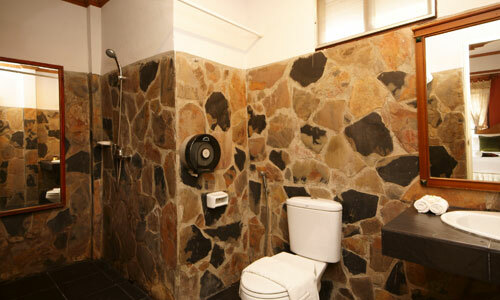 This room is likely to be more suitable for family or those people who needs more lack of peaceful and privacy. 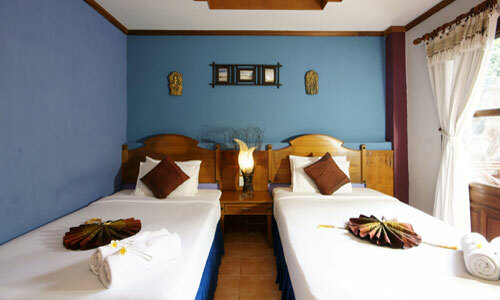 The room is containing with air condition, hot/cold shower, safety box, refrigerator and room standard facilities. 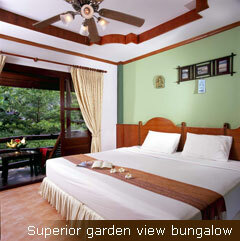 Our decorated garden is all around where can be viewed from the private balcony in the front of the room. 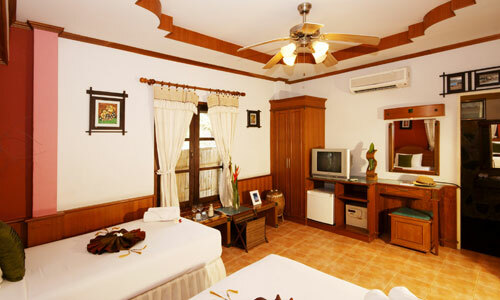 The Superior Sea View Bungalow with private and comfortable balcony is located on the upper floor of the restaurant which is nearest to the beach. From the lovely balcony can viewed the sea and pool site. 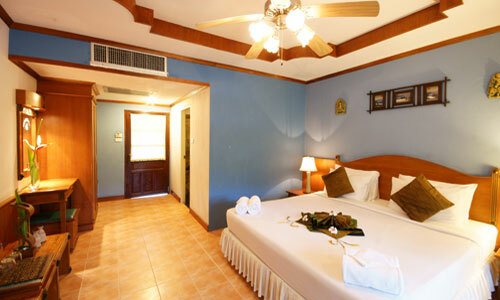 Just walk down the stair, guest can be conveniently to find our resort’s facilities and activities. 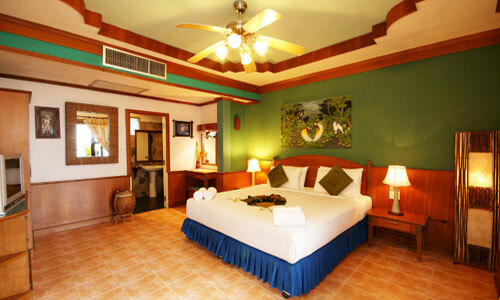 The Superior Main Building is the standard room containing with air condition, hot/cold shower, safety box, refrigerator and room standard facilities. 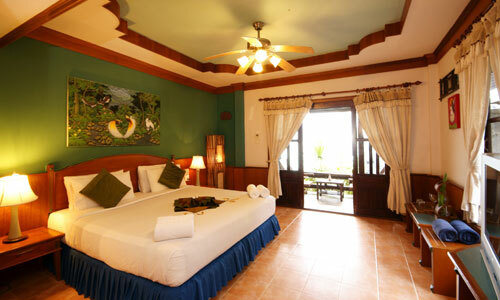 From the room’s balcony can be viewed the part of beautiful and decorated garden, water fall, pond fish and future sea view which nested on the location and floor level of the room. 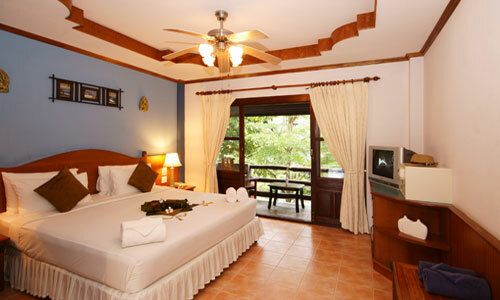 • The room are for 2 person including daily breakfast. A third person needs to pay for an extra bed Maximum of 1 extra bed per room. 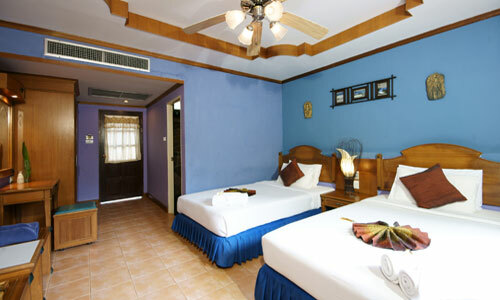 • No room charge for a child ages 3-10 years sharing the room with parents, unless and extra bed is needs. 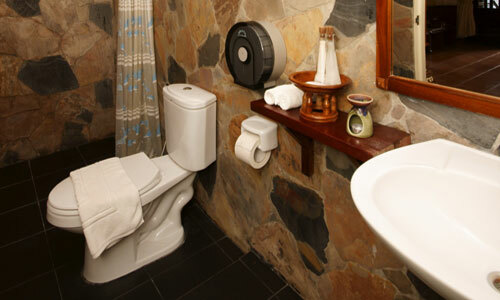 • Complimentary room policy: Once complimentary room incl. ABF for a guide by a group of 15 rooms up. • For this contractual offer to rates and conditions to be binding a second copy must be returned to the hotel. • All rates arn conditions are subject to change without prior notice. 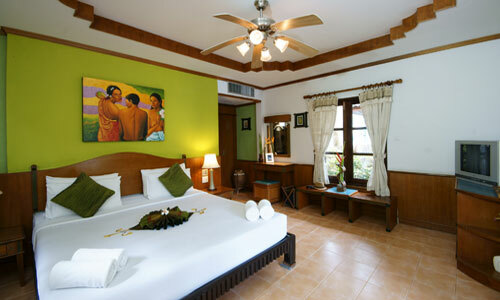 • Full moon party period requires 2 nights minimum stay / 28.12.2011 to 05.01.2012 requires 5 nights minimum stay. 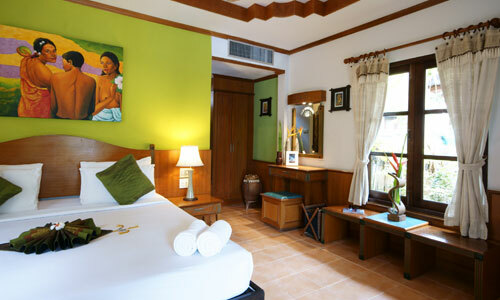 • Transfer from Samui Airport to hotel will be charged for THB1,000/adult. Children less than 7 years old will be charged for THB750/person. • Transfer from Haadrin Pier to hotel will be charged for THB250/adult. Children less than 7 years old will be charged for THB150/person. • Pick up from Thongsala pier to hotel will be charged for THB150/adult. Children less than 7 years old will be charged for THB100/person. 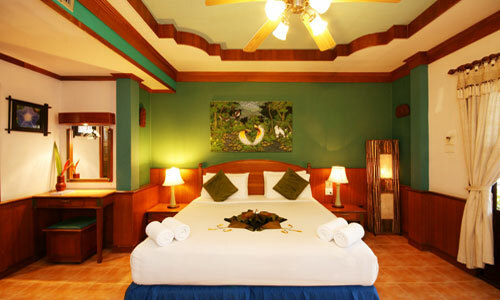 • Transfer is on request and need to be confirm by hotel. In order to arrange the transfer from Smui Airport to hotel guest need to inform us their flight number, an airline and the arrival time.